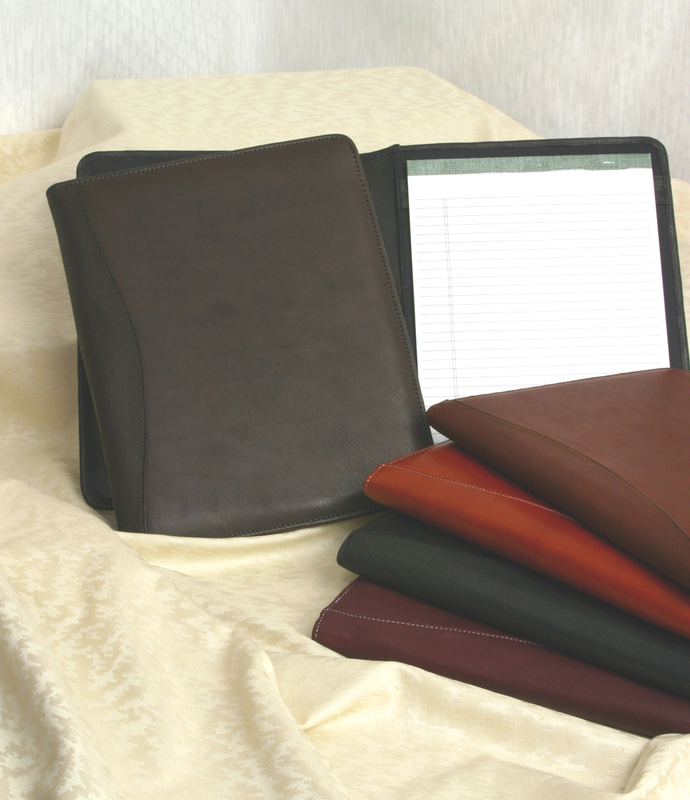 Make your next conference one they will remember with our Leather Meeting Folder and Pen. Featuring a Leather outer shell with a foam padded core for comfort. It offers interior business card and pen holders and a leather pocket for papers. Your Meeting Folder will come with a 8.5" x 11" ruled paper pad and a retractable pen. Our Full Grain Leather is manufactured naturally leaving all scars and blemishes of the natural leather and is considered part of the character and beauty of the finished product.